Every year, unintentional carbon monoxide (CO) poisoning (not linked to fires) sends 20,000 people to the emergency room and causes more than 4,000 hospitalizations. And, you might consider them the fortunate ones. CO also is responsible for more than 400 deaths in America each year, according to the U.S. Centers for Disease Control and Prevention. The truly frightening thing? Most of those victims likely had no idea they were in danger. CO often is called “the invisible killer” because it’s odorless and colorless, and, when it builds up in an enclosed space, it’s deadly. Everyone is at risk, too, because CO is produced by a number of things we use every day, such as cars and trucks, stoves, grills, gas ranges, furnaces and more. So, how do you protect yourself? Especially in winter, when it’s cold outside and you’re using heat sources inside your home? Most states (37 in all) now have some sort of requirement regarding installation of carbon monoxide detectors in private homes. These should be placed outside of each sleeping area and on every level of the home. Because you won’t smell or otherwise notice CO building up, having detectors that will sound an alarm is crucial. Don’t forget to test them once a month. You should never use devices that generate large amounts of CO inside your home. Never operate a gas or charcoal grill inside (even in a garage), and make sure generators are used in a well-ventilated outside location away from windows, doors and vents. Make sure to have your furnace and chimney checked annually, too. Carbon monoxide can build up quickly when a vehicle is running, so, if you need to warm up your car, move it out of the garage after you start it. Snow and ice can block vents for your dryer, furnace, stove and fireplace. They also can obstruct the exhaust of your car. Either can be very dangerous. In fact, according to news reports, several people died in the recent East Coast snowstorm when CO backed up into their cars because the exhaust pipe was blocked. Low to moderate CO poisoning: headache, fatigue, shortness of breath, nausea, dizziness. 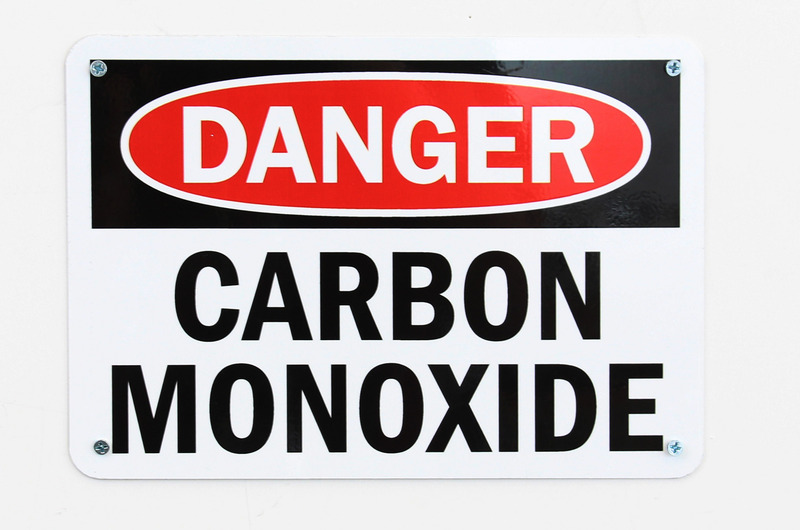 High-level CO poisoning: mental confusion, vomiting, loss of coordination, loss of consciousness. If you suspect CO poisoning, move the person (and yourself) outside immediately and call 911. Remember, the important thing to know about carbon monoxide is this: Without CO detectors (and other common-sense measures), you won’t know when you’re at risk. So, take steps to protect yourself and your family today. Top image by Flickr user SmartSign used under Creative Commons Attribution 2.0 Generic license. Image cropped and modified from original. Copyright © 2019, Omega Financial Investments & Insurance All rights reserved.